The Sri Lankan army and the Jaffna-based Liberation Tigers of Tamil Eelam are accused of war crimes during the closing stages of the military conflict in 2009 when Tamil Tigers leader Velupillai Prabhakaran was killed, ending years of secessionist insurgency in northern Sri Lanka where ethnic Tamils dominate the area. 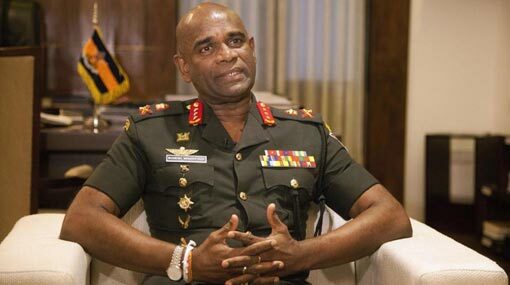 Denying any wrongdoing, Sri Lankan Army chief Lieutenant General Mahesh Senanayake said Sunday that his army “is ready for any kind of investigation to defend its soldiers”, Press Trust of India (PTI) reported. “We have no fear to face any investigation because we have not done any crimes,” PTI quoted Senanayake as saying in the southern Sri Lankan town of Weligama on Sunday. “That is the hard truth. No war can be done without it. This does not mean we have done that during the war. “No need for an international investigation. Our judiciary is capable of doing it,” Senanayake retorted. On March 13, the U.S. State Department’s Bureau of Democracy, Human Rights and Labor published its 43rd annual Country Reports on Human Rights Practices for 2018 which noted that while the Sri Lankan constitution and law prohibit practices of torture and other degrading treatment, “authorities reportedly continued to employ them”.